Due to popular demand, Project Clean Stream is year round! Saturday, April 6th is our 2019 PCS All Hands on Deck Day — when thousands of volunteers, across the Chesapeake Watershed, will be picking up trash on the same day! In order to ensure we can get you the supplies you need for your cleanup, please register your site at least one week prior to your scheduled event. Are you registering a new clean-up site in Pennsylvania? Please click here to register your event. Every spring, tens of thousands of volunteers come together to pick up trash from local streams, creeks, rivers, parks, and neighborhoods as part of the Alliance’s Project Clean Stream — the largest cleanup event in the Chesapeake Bay region! 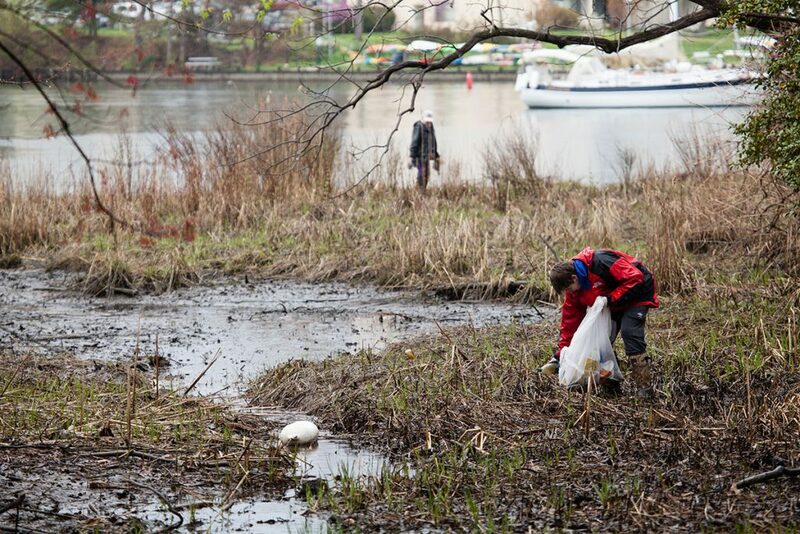 Cleanups take place across the entire Chesapeake watershed, in all 6 Bay states and DC. Through Project Clean Stream, the Alliance offers hands-on opportunities through our partnership with residents, local businesses, environmental organizations, local governments, community groups, houses of worship, schools and universities, to come together to take action to restore clean waters to local streams. creeks and rivers! 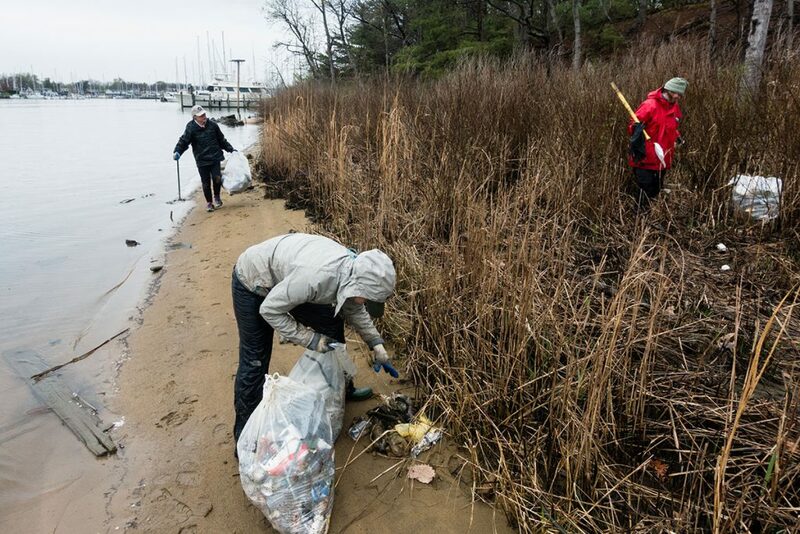 Through our Project Clean Stream cleanups, volunteers have the opportunity to pick-up trash in their communities, discover how their everyday decisions affect the overall health of their local waterways, and ultimately foster a healthier and more sustainable relationship with the Chesapeake. As a Project Clean Stream volunteer, you have an opportunity to make a real difference – planting trees, removing trash, and discovering how everyday decisions affect the overall health of your local waterways, and the Chesapeake. The Alliance coordinates local site cleanups, trains site captains, and provides cleanup supplies such as trash bags and gloves. Sign Up Today to be part of this amazing community effort! QUESTIONS? Contact us at projectcleanstream@allianceforthebay.org. Our 2019 Goal: 75,000 volunteers at 5,000 sites to clean up 3.5 million pounds of trash! In 2017, Project Clean Stream brought in approximately 2.5 MILLION lbs of trash with more than 50,000 volunteers across thousands of cleanup sites!